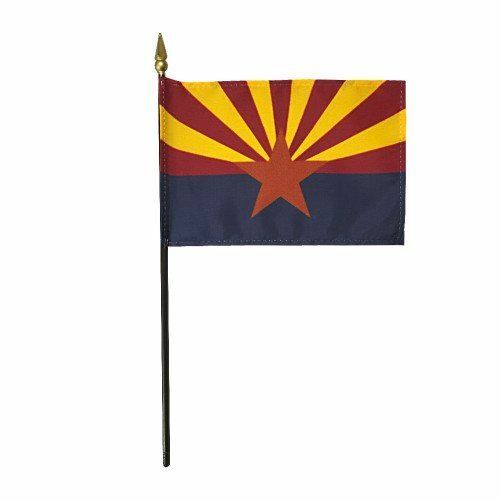 AmericanFlags.com is proud to carry Arizona State Flags in a variety of materials, styles and in sizes ranging from 4 IN X 6 IN to 12 FT X 18 FT. All of our indoor and outdoor Arizona flags are on sale right now and ready for immediate shipping to your door. 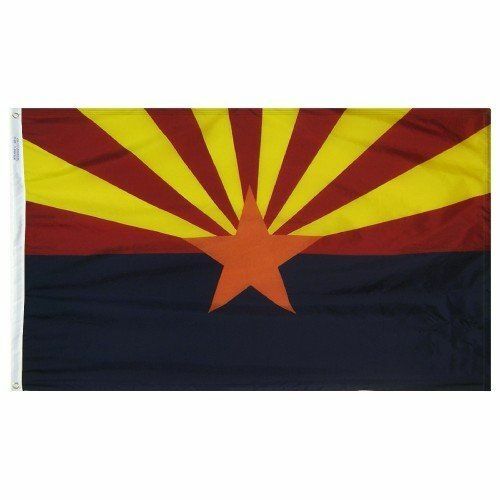 The 13 rays of red and gold on the top half of the Arizona State flag represent both the 13 original colonies of the Union, and the rays of the Western setting sun. 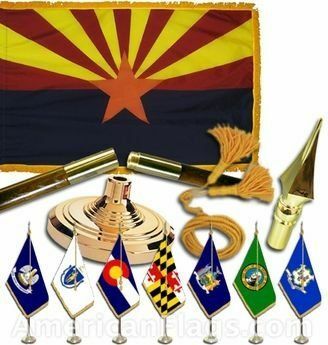 Red and gold were the colors carried by Coronado's Spanish expedition in search of the Seven Cities of Cibola in 1540. 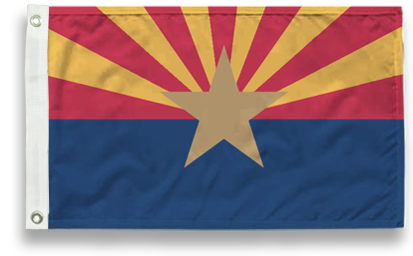 The bottom half of Arizona's flag has the same Liberty blue as the United States flag. 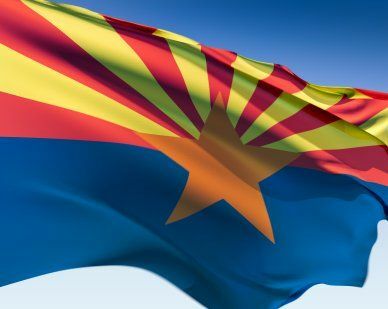 Since Arizona was once the largest producer of copper in the nation, a copper star was added to the Arizona flag's center.